Are you looking for a special ornament to add to your holiday tree this year? How about one that jingles too? Well, I have just the collectible ornie for you! 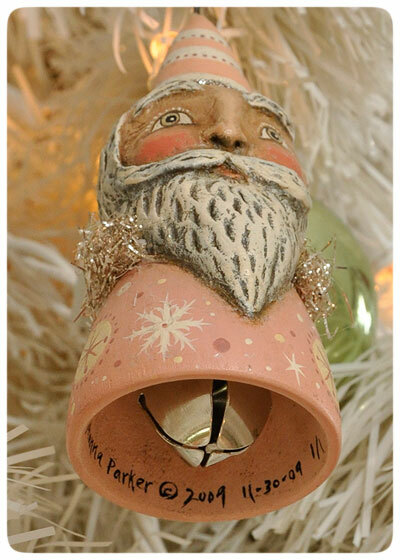 Take a gander at this sweet collectible Santa Ornament Bell painted in aged vintage pink and creamy white hues. He's a delicious-looking one of a kind ornament from my 2009 collection of holiday originals and the only one in this unique color palette. You can see more images and descriptions as he is on eBay this week. Click here to visit this Santa's auction page, and please place a bid if he's on your Wish List! Best of luck to you, and many thanks for your interest! 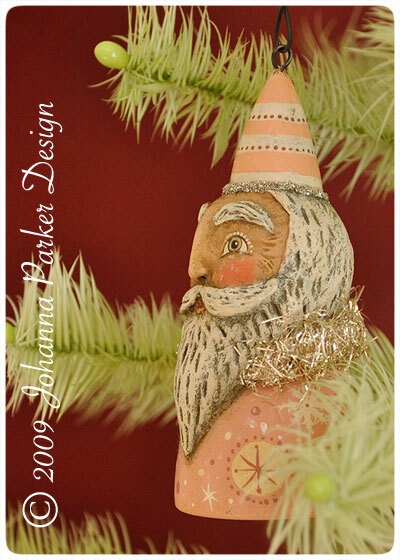 * Either place him on a shelf of whimsical delights or hang him from your holiday tree! 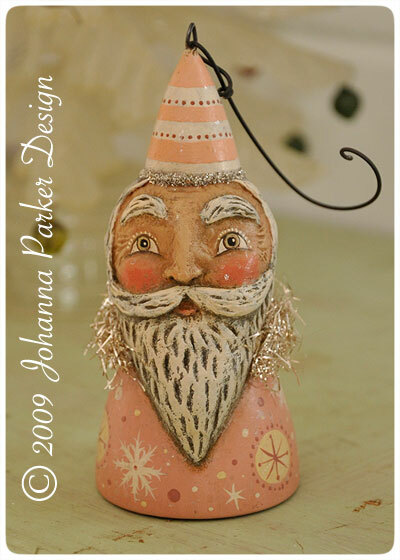 * This soft pink Santa looks yummy with red and green accents too! * © 2009 Johanna Parker Design *Santa Bell Ornament design & photos are the property of Johanna Parker and may not be used without permission.